If you have a die cut machine that's not so sharp (like mine), this inlaid technique will be perfect for you! My Cuttlebug's B plates need to be replaced, and I haven't seen them at the local Michael's. I am going to resort to online shopping soon! But wait, here is the bonus! This is the result with my inlaid die cut. 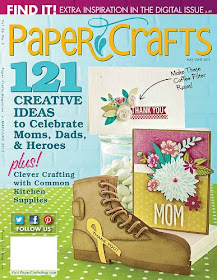 Because the die cut is so intricate, you really didn't need to do much to enhance the design. I cut one out in the middle and then colored it with copic markers. Then I die cut two more and LEFT them as is! I also added a piece of green behind the colored images, so the colors will pop more. 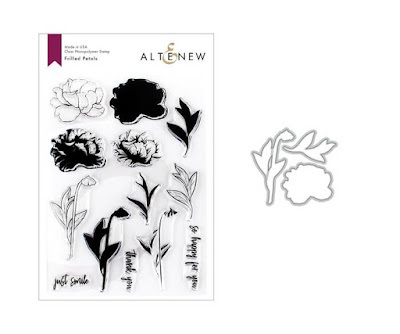 If your die cut machine gives you grief, this is a good one to try! AND I can't believe that this is the LAST day of January! I want to thank you for hanging out with me here. 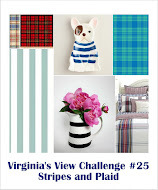 I will be back tomorrow with the NEW Virginia View Challenge #12! See ya! 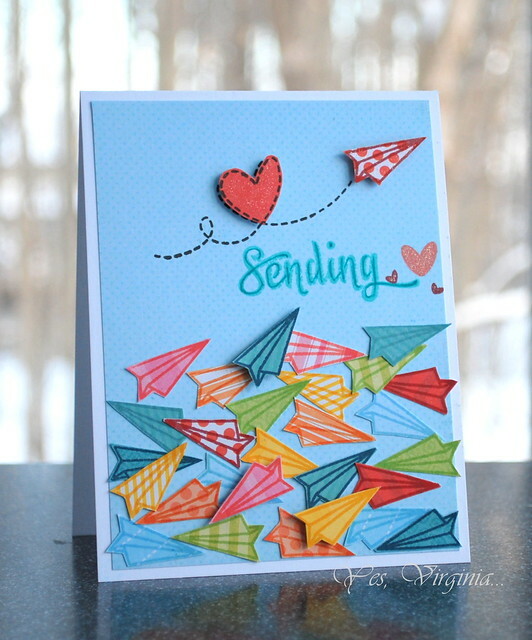 I am popping in to share another card inspired by the Online Card Classes (CAS 4). I was intrigued by the Resist technique with Gesso she shared. I recently got myself a jar of Gesso and do not play enough of it. Perfect!.....well, after 3 tries, I think I finally managed to get it right. You see, the first time, I was not patient enough to wait for the Gesso to dry ---FAIL! The 2nd time, I think my original stamp choice was too detailed and the Gesso doesn't project well in the background. Live and learn, right? I couldn't help covering the entire card stock with Gesso and Distress inks. 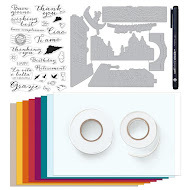 While I was making this card, I wonder why we used Gesso (perhaps you have the same thought), wouldn't it be easier just use white/clear embossing powder? I find that with Gesso, it gives a lovely white wash and the resulted background is much more artsy and subtle. I do love this look! Lastly, I want to give a shout out to Harriet (a faithful and kind blog follower) and Taunya Butler ( a new and sweet follower of mine). 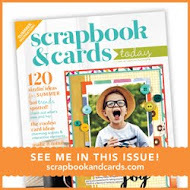 Please send me your e-mail address as I would love to send you a card! How is your winter going? Mine is rather COLD and FROZEN. 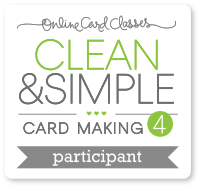 In order to beat the winter blah, I treated myself to the latest Online Card Classes (Clean and Simple 4) hosted by uber talents such as Jennifer McGuire, Kristina Werner and special guest teachers! As usual, I am enjoying myself in this class. Today's card was inspired by the super talented Debby Hughes. I am loving her technique and tutorial. After seeing the fabulous video, I had to give it a go. 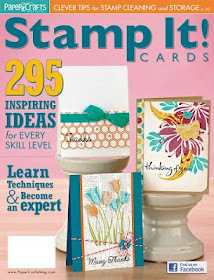 It is the perfect timing as I recently got some new intricate dies from Simon Says Stamp. I chose the green paper background as it is so pleasing to the eyes with the white. I had so much fun playing with the die cut pieces. 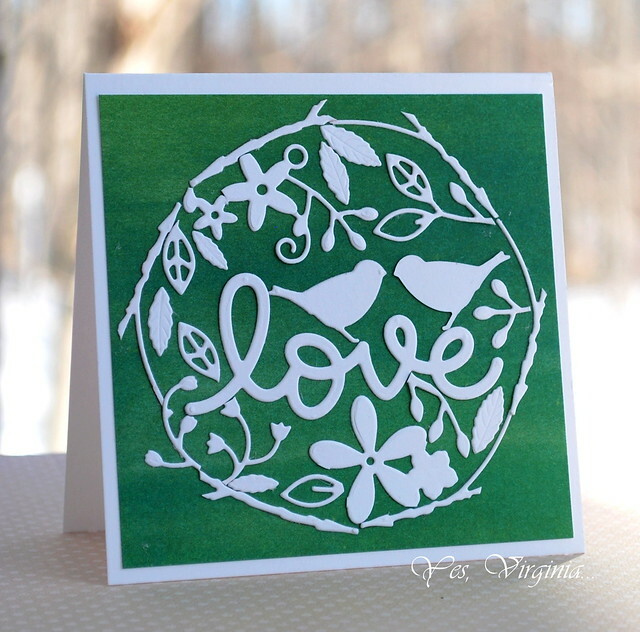 I did not purposely aim for a perfect circle with the tree branches as I love this rustic look. 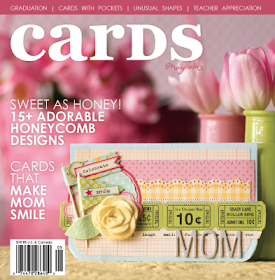 The best thing about this type of card is that it is FLAT and perfect for mailing! I think this also makes a lovely gift of framed art! I may try to do that some day! It's not too late to sign up the class as you have lifetime access to them! 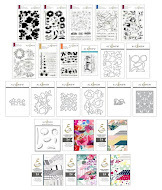 Last but not least, if you are looking for some awesome dies---CAS-ual Fridays has a DEAL for you! The Fri-Dies are versatile and of great quality. Tic-Tac-Toe , CAS-ual Trees and Double Notes are my favorites! 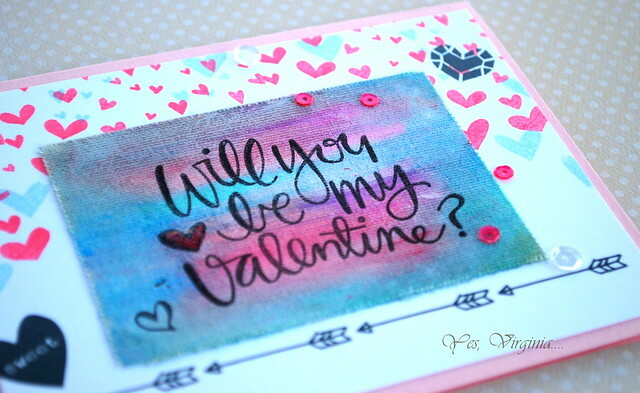 For my project, I used Clearly Besotted stamp. This Fabulous Fuchsias set is gorgeous! I masked the borders and stamped the Fuchsias in three colors of purple. It may be hard to see the effect, but it helps to create interest and depth. edited: the small 4mm purple sequins I used here are from Pretty Pink Posh. I also added tiny pearls over them. Hello! 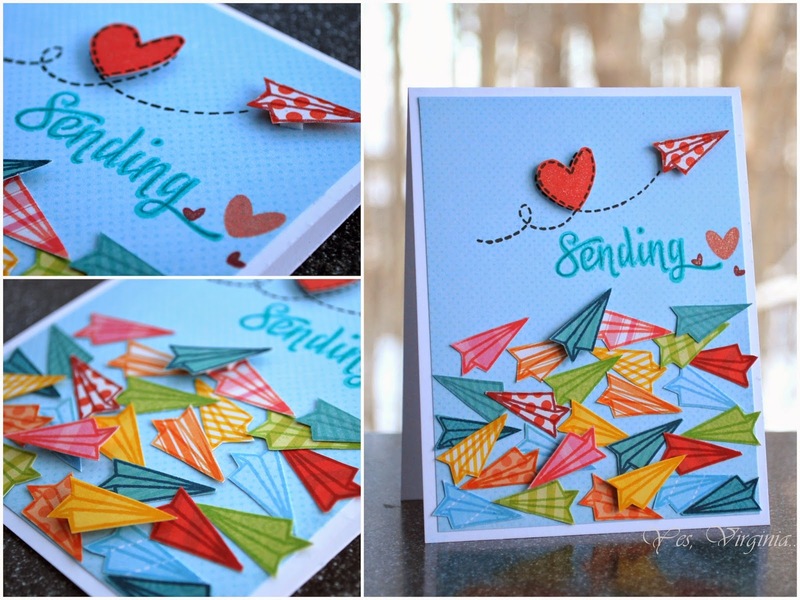 I am back with another card made with Simon Says Stamp February Card Kit. This kit also comes with 1 Swatch of Stickyback Canvas by Ranger. Some of you may not have experienced in playing with this material- stickyback Canvas. But really, it is not that hard to get acquainted with this fun medium. I treated it like textured watercolor paper. It is absorbent and can take water and paint well. Of course, you do have to let it dry before you stamp any image on it. For my canvas, I applied Gelatos with a few dabs of water. I should have had a color plan before I worked on it. But I didn't ( well, it shows!). It is important not to contaminate the colors because it can become a brownish mess/muddy...however, I think I "saved" the canvas by blending Gesso to lighten up the entire color scheme. I also applied hearts and arrows with Rub ons from Crate Paper's Kiss Kiss collection (included in the kit). Somehow I wish I could re-do the canvas as I do have extras from my collections. But, I resisted to do so. Because it is what it is. To me---> life is like a canvas, you work with what you've got! I have Whimsical Flowers (from Altenew) for a while now and I finally got it out to play! 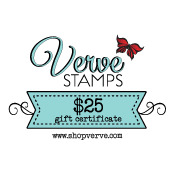 How do you play/get going with a new stamp set? For me, I often start out with the simplest idea that came to mind. Sometimes it helps to Google/Pinterest the image and see what comes up. For instance, if you type in "whimsical flowers" and hit images (over Pinterest), you will see all kinds of designs that give you a jump start and even provide you some fabulous color inspiration. 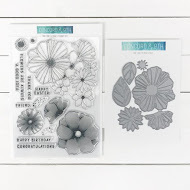 For this stamp set, I took the outline flowers and created a floral background. It's always so satisfying to create your own background. 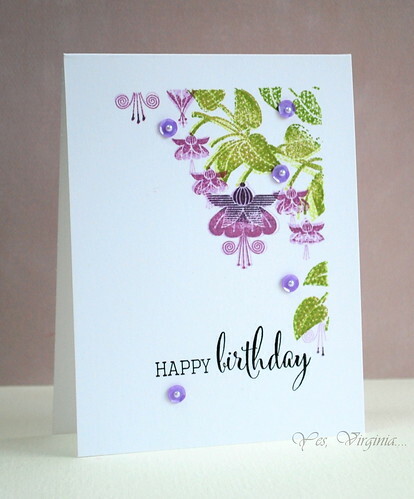 I combined two new Altenew Stamp sets Painted Butterflies, Whimsical Flowers to make this card. For the butterfly, I followed the stamp image's antenna and created the wired one! As for the sentiment? 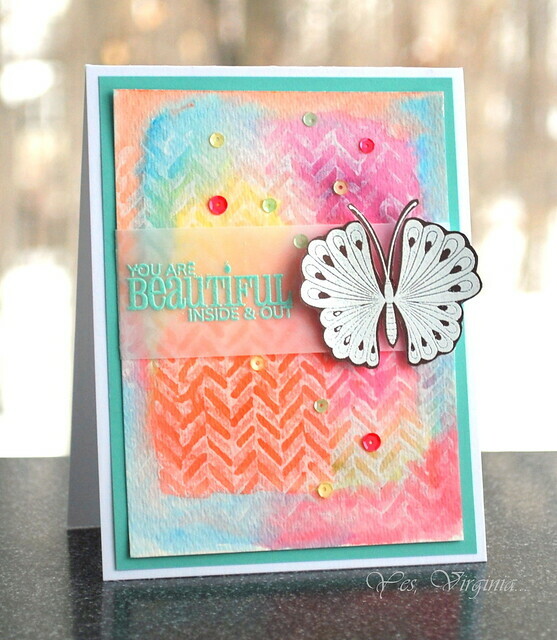 I used the backside of the sentiment (from Painted Butterflies) to stamp the two-tone stripes. 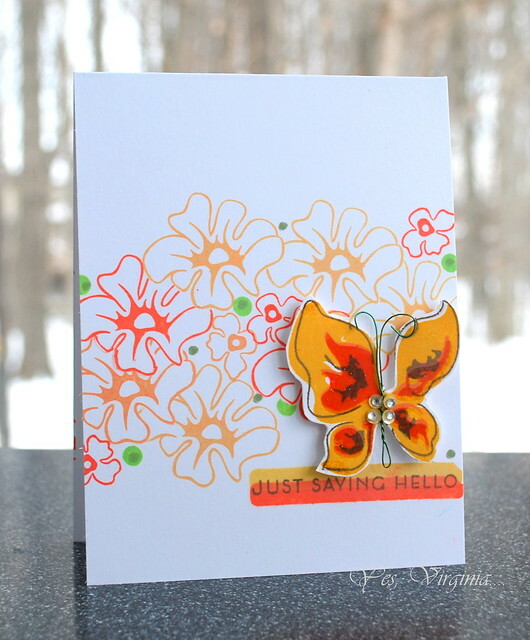 That way, the entire design looks cohesive with the stamped butterfly and flowers. 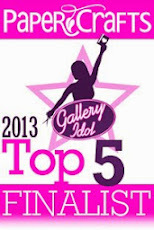 First of all, thank you for the amazing support and feedback for my blog (see here). Without further ado, it's time to announce the 3 giveaway winners. 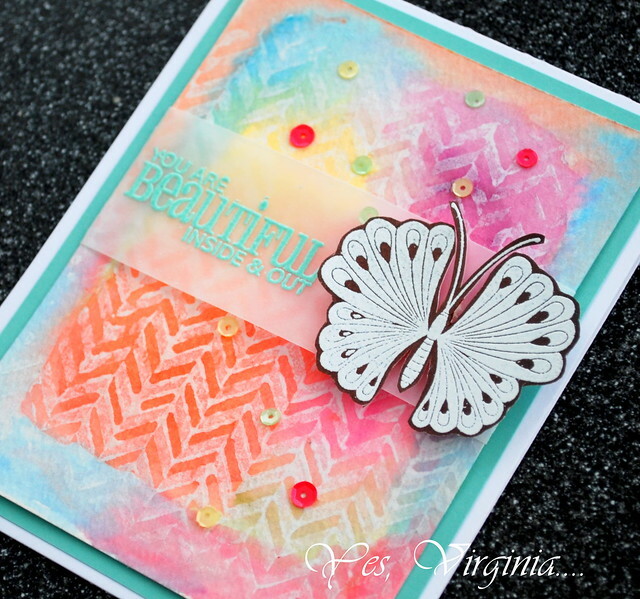 Beautiful card Virginia and wow 800 followers! You are a rock star my friend! Please email/contact me to claim your prizes. Lastly, I am sharing a card that I made from yesterday's Scramble Challenge over Hero Arts Flickr. It was hosted by my Dutch friend Leni. 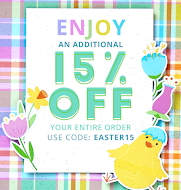 The theme is to add a little animal in your design. 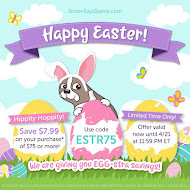 If you like to read more details about this card, just click on the photo. 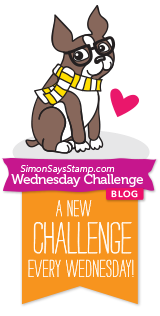 I received the latest February 2015 Card Kit (Simon Says Stamp) a few days ago! And wow, I am in love with this kit! 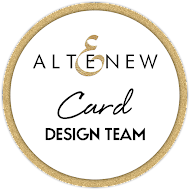 From the stamp design to the patterned paper selection, down to the gold Gelato and SSS clear embossing powder... each item is a GEM! 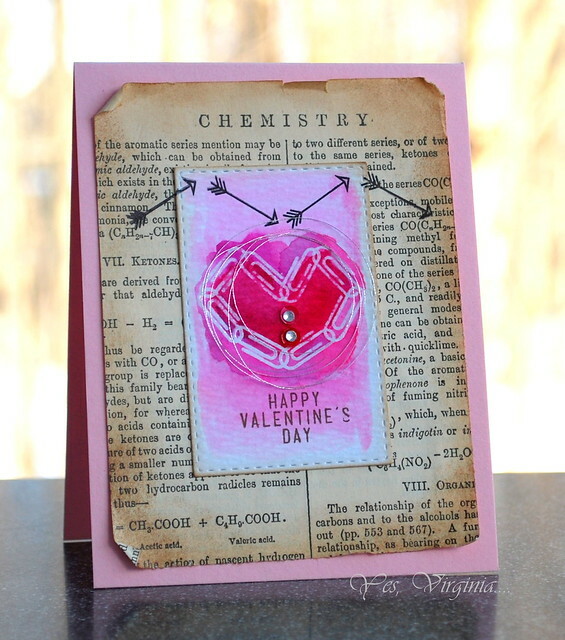 I used all the supplies from the kit (the stamp set Paper Hugs, Vintage Encyclopedia paper). 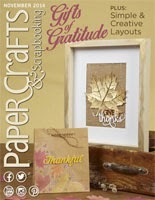 I did use the Stitched Rectangle to cut out the included Tim Holtz Distress Watercolor paper. I applied Peerless watercolor to the clear-embossed paper clip image. 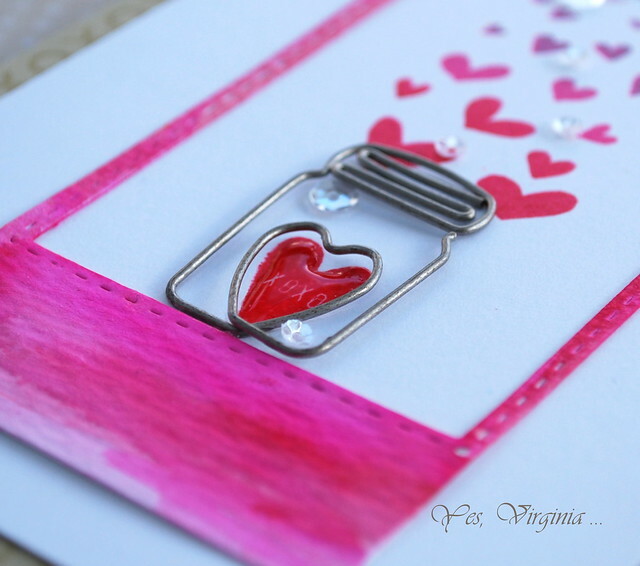 The Simon Says Stamp Clear Embossing Powder is oh.so.fine and lovely! I heard that Vintage /Shabby style is not trendy any more... but I think it is timeless, don't you think? I distressed and curled up the edges. Love the look! edited: the silver threads that I used were DMC Metallic Threads. You can buy similar threads at Michael's! With the Stitched Rectangle, I ended up with a negative piece....and guess what I did with it? I did the tone on tone stamping on the kraft card stock. 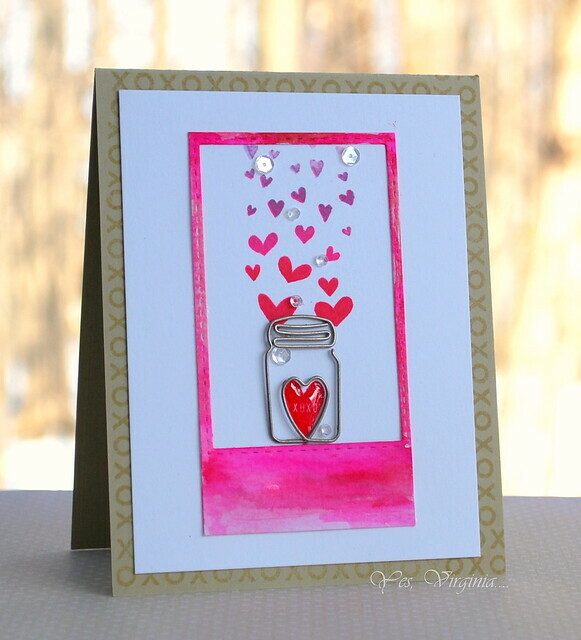 I used the Maya Road Vintage Jar clip to hold the falling hearts. The red heart in the jar was stamped. I applied Glossy Accent for the shiny effect. 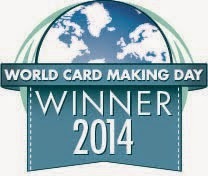 I am quite proud to see how this card came together....the pieces were meant to be! This kit is truly an awesome and well thought-out one. 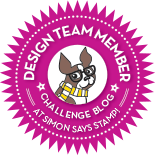 If you have never tried the Simon Says Stamp Card Kit, you should definitely consider this one! Thank you for commenting on the post for my Blog Followers Appreciation Giveaway. I will announce the 3 random winners on the 25th! 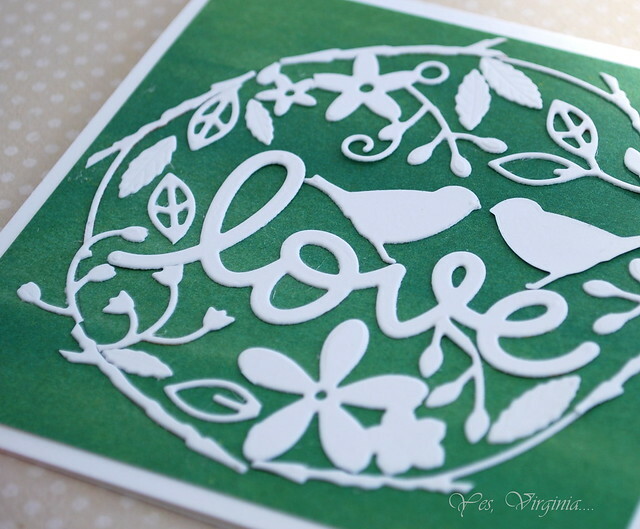 I am sharing a card that I made with my latest stencil and die. 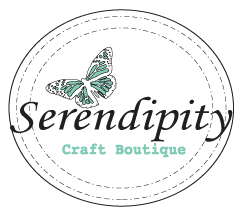 Lately, I am in the stitching mode and I have been loving playing with the Screen Element die. I hope my card will bring some cheerfulness to you. daughter: hey, this looks so cool. V: yeah, it's my Peerless watercolor. son: ...they make you look like a REAL artist. For my project, I used Wink of Stella (White glitter). It's hard to see the subtle glitter on the hearts and sentiment, but the shimmer does make the card extra special and unique! Of course, the most time I spent on making this card was the stitching with the Screen Elements with sequins and floss. I also did some silver embossing with the heart 2-3 times to get that thickness on the heart. 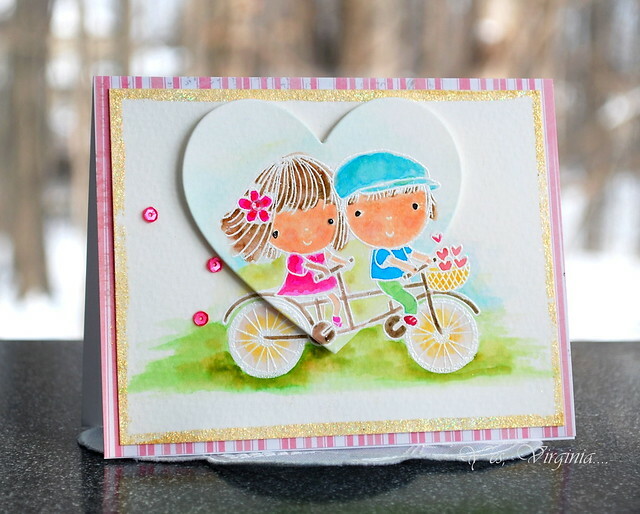 By the way, my SSS design team mate Jenn Shurkus is doing an on-line Valentines and Friendship Card class (for all the details, please click here). She has some awesome prizes for signing up for the class as well. Do check out her sweet and lovely class samples!! Are you a Taylor Swift fan? I was not, but I think that I am becoming one! 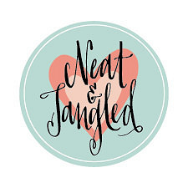 In the spirit of celebrating Taylor's song "Shake it Off ", I made a shaker TAG! I recently got the Paper Smooches Gift Tag Dies and had to try them out. I used to think why buy a tag die when you can cut them out yourself...well, these dies do have stitched/embossed edges, so the cost was totally justified (wink)! For this shaker tag, I made two tag dies first, then I trimmed off the white rectangle. 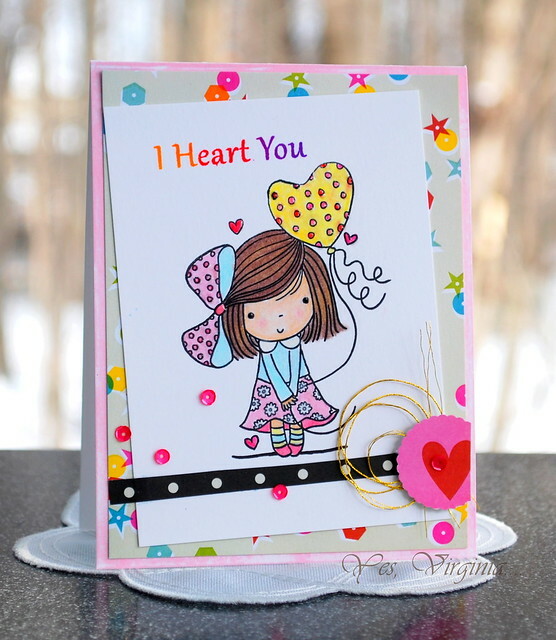 I then stamped the bee and hearts images and embossed the "swirl". Next I added the watermelon sequins (from Pretty Pink Posh) beneath the acetate. Finally I sandwiched them all together--Bam! I also made a little tag to go with the shaker tag and added the ribbon and twine. Done! 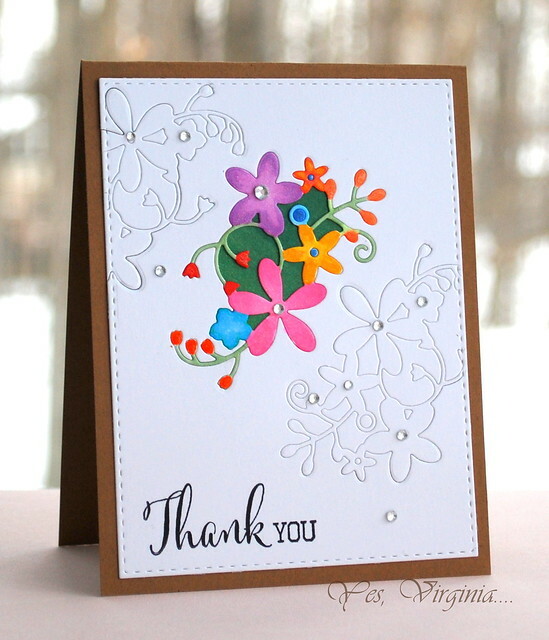 PS: I am so encouraged by your positive comments about me doing cute cards (see here)! Wow,...I am going to try hard and continue to hone my coloring skills. You are the BEST! I don't do cute....cute cards, that is. If you follow my blog, you rarely see cute images with lots of coloring. Well, since it's the New Year, I though it would be good to challenge myself to do something NEW and completely "different". The images are colored with copic markers and watercolors. 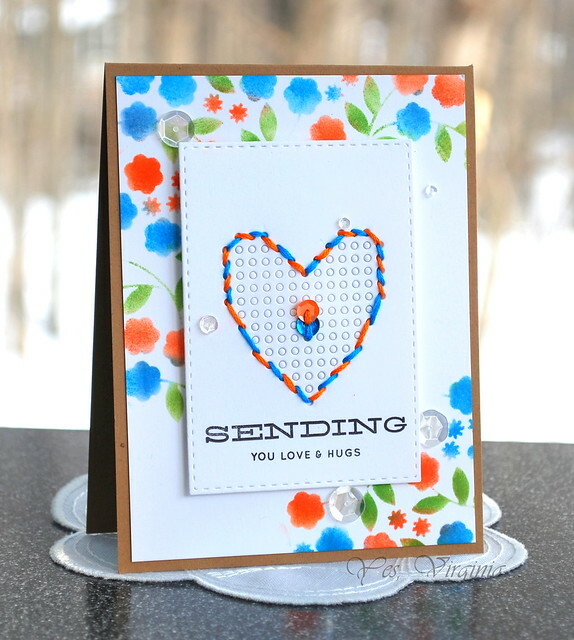 The Thank You Heart Craft Die is from Simon Says Stamp. You might wonder why I came up with the idea for a heart shape die...Well, it's because I am a genius that way I was horrible at coloring the faces! The angelic-looking faces turned out blotchy due to my lack of/poor watercolor choices. Their faces are still not great, but they are MUCH better than the original :) I also embossed the edges with gold embossing powder. My 2nd card was created with color pencils with Gemsol. I think the coloring is passable. 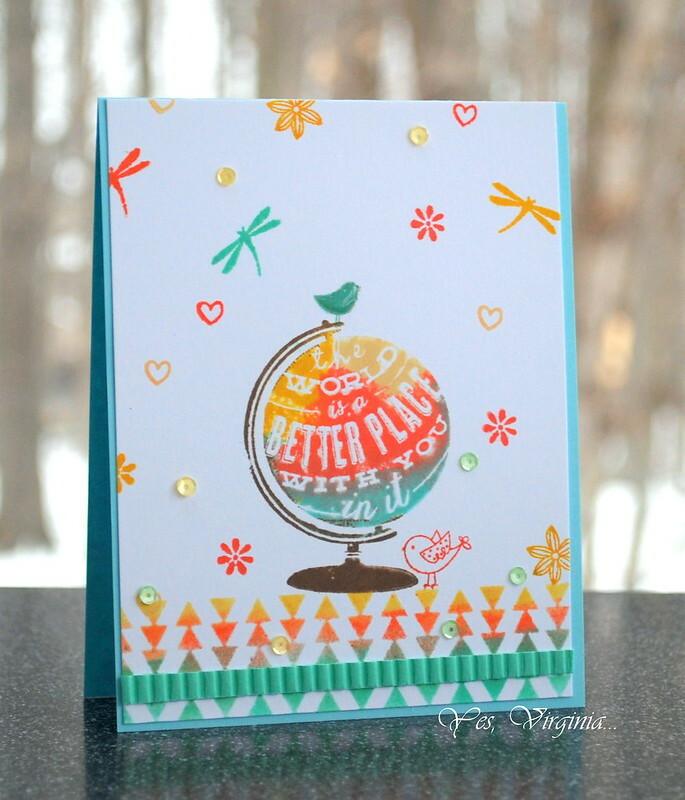 I kept the coloring light and added patterned paper to accentuate the fun and cheery colors. My 3rd card was made with paper-piecing. Yup, everything was paper pierced except the face, hair, hands and the big/tiny hearts. 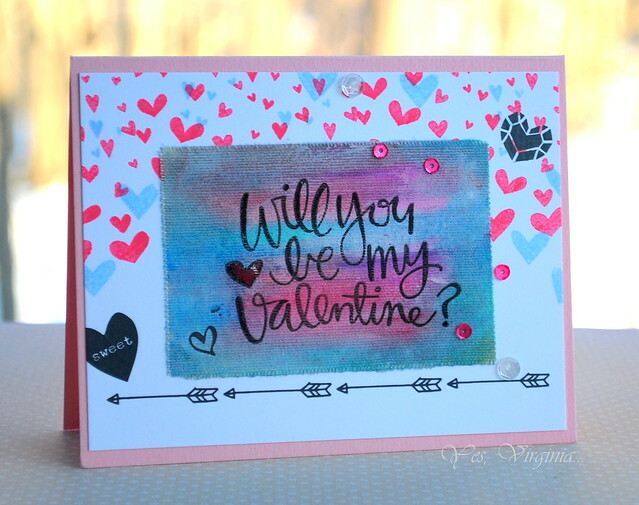 Stamps: I Heart You, Heartfelt Die from Penny Black, DIY Boutique, DCWV, Peerless Water color, Spectrum Noir Color pencils (Primaries and Floral) . I admit that I struggle with coloring. But with practice, coloring may not be as intimidating after all. Still, it was fun to play with cute images once in a while; perhaps I will do more cute cards from now on (wink). It's been a long while since I played paper-piecing, I couldn't help getting this new (to me) stamp out to play. I stamped a bunch of paper airplane images on assorted colorful paper and cut them out in front of TV....This is what I ended up with. 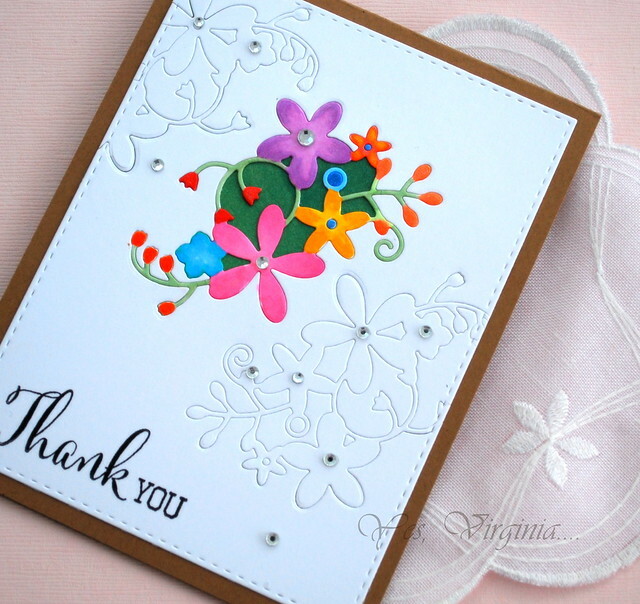 The entire card was made with patterned paper (except the white card stock). I added some pop dots for 3 paper planes for dimension. Easy peasy! Did you know that you can multi-task while TV-watching? We recently got HD digital cable and a PVR ( I know, I am so old-school!) and I have been busy watching all the shows that I love. My favorite station is PBS (yes, I am old! 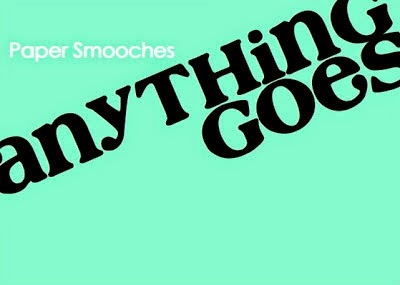 ), Sunday's Masterpiece Theater's line-up is the best! I am looking forward to Downton Abbey and the new Mystery series "Grantchester"! A Photo Tutorial on Making Crepes! A Giveaway!...Because I Appreciate YOU! 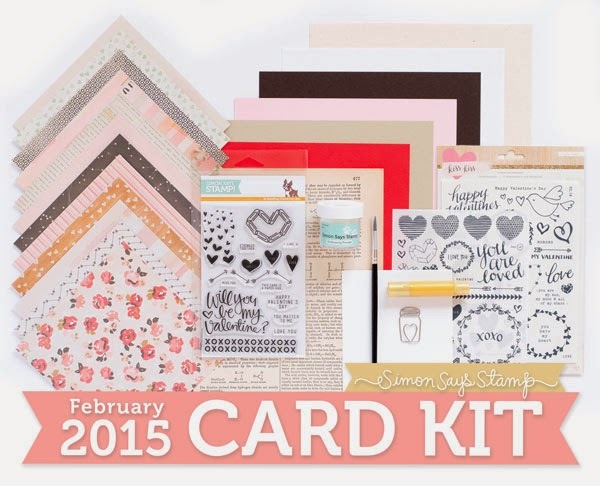 SSS January Card Kit-Take 2! Too Cold for ..... Ice Cream!